Shortbread is the star of the cookie world—made almost entirely of butter and sugar, we bet you can’t eat just one! 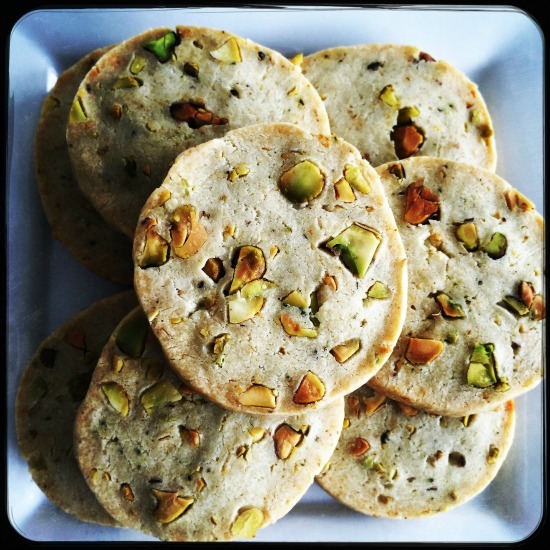 Sweet shortbread is perfect for dipping into hot tea while savory ones pair well with soup or are delicious with cheese. Marcia Selden Catering & Event Planning shares two of their favorites with us. These cookies won’t last long when you put them out, so be sure to grab one fast before they are all gone! Mix together the flour, sugar, cocoa and hazelnuts. Add the softened butter, vanilla and cooled espresso. Mix until the dough comes together. Turn out onto parchment paper and form into an 8” log. Wrap the log in clear plastic wrap and chill for at least 1 hour. Pre-heat the oven to 325 degrees and line a baking sheet with parchment. Slice the dough into ½ inch slices. Bake for about 12 minutes or til golden brown. Cool the cookies on a wire rack. Melt the chocolate for about one minute in the microwave, stirring until completely smooth. Drizzle with the chocolate, let chocolate harden and enjoy! YUMMY! This is oh-so-decadent with a big bowl of tomato soup! Cream the cheese and butter and mix in the flour, cornstarch, salt and cayenne. Mix the dry ingredients into the wet ingredients followed by the pistachios, lemon zest + thyme. Roll the cookies into an 8” log and wrap in clear plastic wrap. Chill in the refrigerator for at least one hour.